Can I deduct the foreign mortgage interest I pay on my home overseas? Is Foreign Mortgage Interest Deductible? 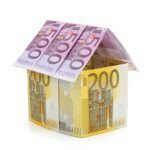 We are often asked whether mortgage interest on a foreign residence is deductible. The good news is that it can be deductible. In fact, the rules for foreign mortgage interest deductions are the same as the rules for a residence in the United States. Mortgage interest is deducted on your Schedule A along with other itemized deductions, such as charitable contributions, unreimbursed employee expenses and so forth. As a taxpayer, you have the option of choosing the standard deduction or itemized deduction; generally you will choose whichever amount is higher. Frequently, the foreign mortgage interest and real estate taxes are enough to propel your itemized deductions into exceeding the standard deduction and allowing you to claim your itemized deductions on Schedule A. However, if the total of your itemized deductions including foreign mortgage interest are lower than the standard deduction, you will not benefit from the mortgage interest deduction. Debt is secured if you sign an instrument such as a mortgage, land contract or deed of trust and your home would be used as collateral to protect the lender. Additionally, if you are unable to pay your debt, the home would serve as payment to the lender to pay the debt. The loan may be a mortgage to buy your home, a second mortgage, a line of credit, or a home equity loan. How much foreign mortgage interest can I deduct? Generally, you can deduct the foreign mortgage interest on you main and second home for up to $1 million of acquisition debt ($500,000 if Married Filing Separately). If you have an equity loan, the interest on loans up to $100,000 can generally be deducted. What Is A Qualified Home? A home includes a house, condominium, cooperative, mobile home, house trailer, boat or similar property that has sleeping, cooking, and toilet facilities. If you have a main home in the United Kingdom and a second home in the United States, the fact that your main home is located in the United Kingdom and not the United States will have no effect on whether you have qualified mortgage expense. It does not matter where you obtain the mortgage. The IRS Code does not distinguish between domestic or foreign homes or mortgages. As long as you meet the definition included within IRS Publication 936, the interest paid on the mortgage would be deductible just as it would in the United States. However, interest payments would have to be converted from the foreign currency to U.S. dollars using a standard currency conversion method, which we can easily convert on your behalf. Can I Deduct Real Estate Taxes? Another added benefit of owning real estate is that real estate taxes paid on your primary and second residence are also generally deductible. Deductible real estate taxes include any state, local, or foreign taxes on real property levied for the general public welfare. However, deductible real estate taxes do not include taxes charged for local benefits and improvements that increase the value of the property. The tax rules for Americans living overseas can be unique and sometimes complex, other times like with foreign mortgage interest the tax rules are the same. Before proceeding, it is best to consult with a tax professional well versed in the tax rules for expatriates. Click the button below to request a Tax Preparation Quote today to get started with the preparation of your foreign mortgage interest. I’m filing the 2014 tax. If you could assist me it would be great. What is your charges ?